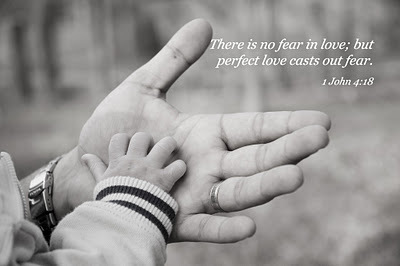 There is no fear in love; but perfect loves cast out fear: because fear has torment. Faith and fear do not co-exist they cancel each other. Both faith and fear are unshakable beliefs in an unseen future. Neither is merely emotional. But both are spiritual forces. The only difference between the two is that one believes that God will come through for you. The other believes He wont. God says that He has not given you a spirit of fear, but, He has given you a spirit of love and self-control. (2 Timothy 1:7 For God has not given us a spirit of fear, but of power and of love and of a sound mind.) 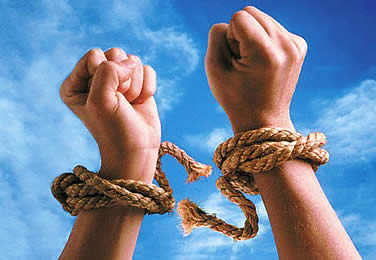 They are your most powerful weapons in your battle for freedom as you deal with the emotions of fear, doubt, and worry. God’s love wins the battle for you! That is something that should really make us stop and think. When fear creeps up inside of you, it should raise a red flag that you need to continue deepening your relationship with God. So how do you begin controlling emotions of fear, doubt and worry? Your faith in the unyielding love of your heavenly Father is what removes fear from your mind regardless of your circumstances. 2 Think of God’s promises for that situation. 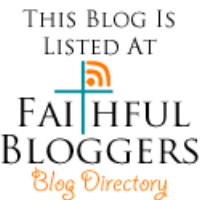 There is a list of some verses to get you started at the end of this post. *Joshua 1:8 Keep this Book of the Law always on your lips; meditate on it day and night, so that you may be careful to do everything written in it. Then you will be prosperous and successful. 4Praise God for His promises, and faithfulness to keep each one of them too. *Psalm 50:23 He who brings an offering of praise and thanksgiving honors and glorifies Me; and he who orders his way aright [who prepares the way that I may show him], to him I will demonstrate the salvation of God. No matters how many times fear tries to return, continue to repeat step 5. No special formula is needed to pray over your situation. As you read and discover treasures in God’s word, mark them, and pray them over you in faith. Use your own words if you want to, but do pray His truths. Pray believing and expecting the blessing and love of God to breathe faith and life over you and it will! —– For example – Psalm 23:4 You could say, confess or pray – Even when I walk through difficult or scary situations I will not dread or be in fear because God is with me. He protects me and guides me. I am safe. 1 John 4:4Little children, you are of God [you belong to Him] and have [already] defeated and overcome them [the agents of the antichrist], because He Who lives in you is greater (mightier) than he who is in the world. Isaiah 54:14 You shall establish yourself in righteousness (rightness, in conformity with God’s will and order): you shall be far from even the thought of oppression or destruction, for you shall not fear, and from terror, for it shall not come near you. Psalm 91:10-11There shall no evil befall you, nor any plague or calamity come near your tent. For He will give His angels [especial] charge over you to accompany and defend and preserve you in all your ways [of obedience and service. 2 Timothy 1:7 For God did not give us a spirit of timidity (of cowardice, of craven and cringing and fawning fear), but [He has given us a spirit] of power and of love and of calm and well-balanced mind and discipline and self-control. Isaiah 41:10 Fear not [there is nothing to fear], for I am with you; do not look around you in terror and be dismayed, for I am your God. I will strengthen and harden you to difficulties, yes, I will help you; yes, I will hold you up and retain you with My [victorious] right hand of rightness and justice. 1 John 4:18 \There is no fear in love [dread does not exist], but full-grown (complete, perfect) love turns fear out of doors and expels every trace of terror! For fear brings with it the thought of punishment, and [so] he who is afraid has not reached the full maturity of love [is not yet grown into love’s complete perfection]. Psalm 18:2The Lord is my Rock, my Fortress, and my Deliverer; my God, my keen and firm Strength in Whom I will trust and take refuge, my Shield, and the Horn of my salvation, my High Tower. Philippians 4:6 Do not fret or have any anxiety about anything, but in every circumstance and in everything, by prayer and petition (definite requests), with thanksgiving, continue to make your wants known to God. Luke 1:37For with God nothing is ever impossible and no word from God shall be without power or impossible of fulfillment. Joshua 1:9Have not I commanded you? Be strong, vigorous, and very courageous. Be not afraid, neither be dismayed, for the Lord your God is with you wherever you go. James 5:16 Confess to one another therefore your faults (your slips, your false steps, your offenses, your sins) and pray [also] for one another, that you may be healed and restored [to a spiritual tone of mind and heart]. The earnest (heartfelt, continued) prayer of a righteous man makes tremendous power available [dynamic in its working]. Tagged 2 Timothy 1:7, 23, afraid, anxiety, distress, free from fear, freedom, help for my fear, I am in fear, Life, need help, no more fear, Proverbs 12:25, Psalms, terror, torment in my soul, what is fear?